Oxford: British Archaeological Reports, 2014. 415 págs. The need to protect the physical and cultural environment in which we operate is the logical consequence of the dramatic transformations witnessed in recent years due to rapid urban development. This book seeks new ways to understand the natural and historic patrimony, increasing the evidences that we use to define our cultural heritage. The importance of this has been increasing in recent years leading to the creation of legal categories by the “European Landscape Convention”. In Toledo, as a result of a peculiar historical evolution that has prevented the existence of large urban change until very recently, a number of outstanding cultural landscapes remain to be studied. However, and despite having all kinds of statements of local, national and international protection, an end seems closer than ever due to the approval of a new Municipal Management Plan proposing the construction of new neighbourhoods in places that most assumed were exempt from such Urban development. The opportunity remains to at least document the evolution of Toledo’s cultural landscapes that have reached the early twenty-first century and these are studied here using different techniques and approaches, an ambitious research project starting with the Cigarrales, the area currently under greatest threat. 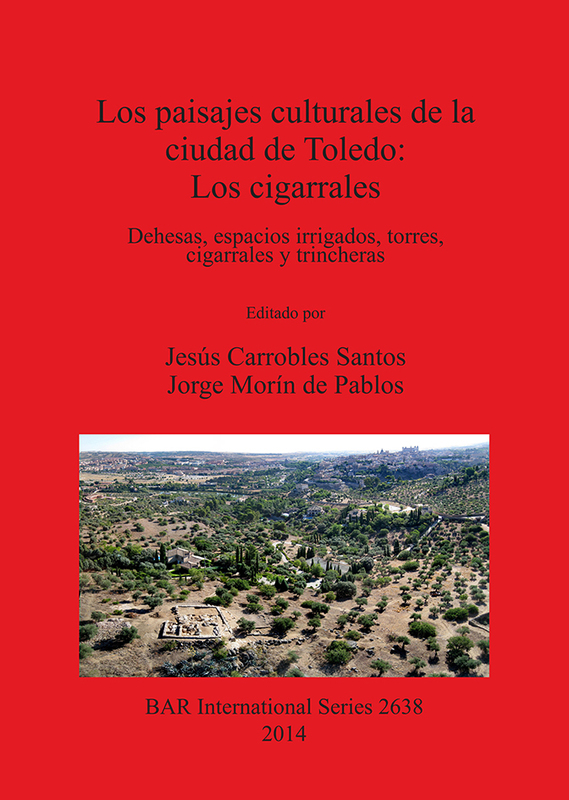 This book summarizes archaeological activities carried out within the framework of the project “Cultural landscapes of Toledo: The Cigarrales” developed between 2010 and 2012 . This monograph is intended as a summary of the work, which provides important research, not only for understanding the Cigarralera area, but all urban landscapes.